Sometimes, an analog microphone isn’t what you are looking for. This is where a USB microphone comes in. You have a lot of options when it comes to USB microphones but one at the top of the market is the Blue Yeti USB Microphone. 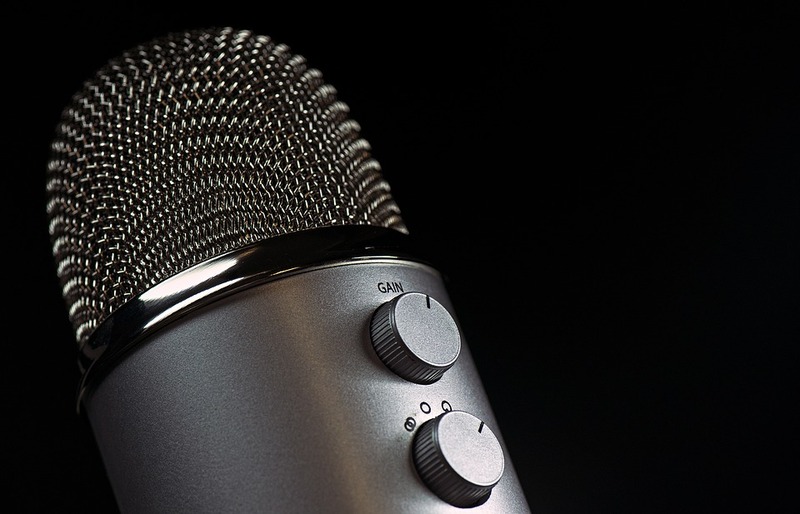 The first thing to notice about the Blue Yeti USB Microphone is that it is a USB microphone. 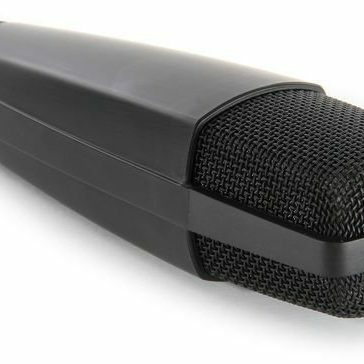 While these types of microphones contain a capsule, diaphragm, and all the parts a regular microphone has, they are a little different. For example, it contains two extra parts – an onboard pre-amp and an analog-to-digital converter. These help to simplify the technology that makes this USB microphone able to be plugged into your computer and used right away. It takes away the need for a pre-amp (as all analog microphones require a pre-amp) and the converter switches the sound files from analog to digital immediately, making them computer ready as soon as they are recorded. 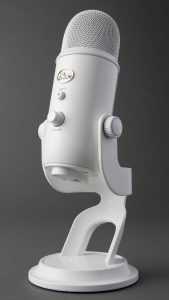 The Blue Yeti USB Microphone is also a condenser microphone. 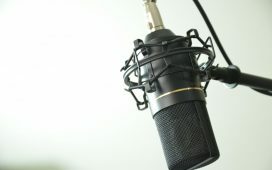 Condenser microphones are more sensitive than their dynamic counterparts and are more often found in studios than on stage. 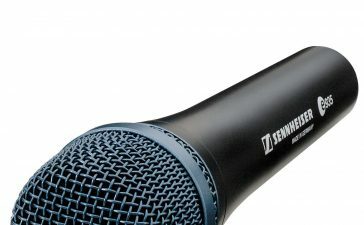 As we will discuss momentarily, the durability of condenser microphones is usually less than dynamic microphones. However, the Blue Yeti USB Microphone still stands up as fairly durable. 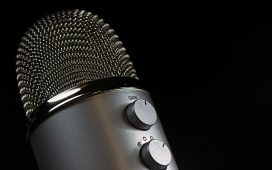 One interesting design feature is that the Blue Yeti USB Microphone has a dial on it that allows you to adjust the polar pattern of the microphone. These settings include stereo, cardioid, omni, and bidirectional patterns. We will go over the meanings of these different polar patterns when we discuss the sound quality of this microphone. Speaking of the dials on this microphone, it is designed with quite a few setting options. These includes the aforementioned polar pattern settings, mic gain control, volume and muting, zero latency headphone output, and a USB mini jack. These controls give you, well, a lot of control over the sound of the mic and how you use it. Next, let’s discuss the durability of the microphone. 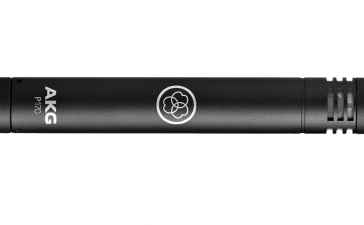 The body of the Blue Yeti USB Microphone is made of metal. This makes it rugged and durable and a weighted base helps the mic to stand up properly as you use it. Unfortunately, the dials and buttons on this mic are made of plastic leading them to be less durable. They also don’t always turn smoothly with some users complaining of a grinding when they turn the dials. The first thing to know about the Blue Yeti USB Microphone is that it is THX certified. In fact, it is the “world’s first THX certified microphone”. What does that mean, though? Well, the THX certification stands for superior sound design and quality. 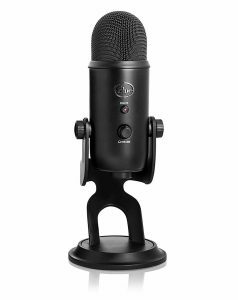 After being lab tested, the Blue Yeti USB Microphone stood up to the test with little feedback, zero latency, and a variety of sound settings as well. Another thing to note is how sensitive this microphone is. No matter what polar pattern setting you have this microphone on, it’s going to pick up almost every noise around it. This makes it better for studio uses or podcasts instead of using it for a live performances. Of course, this sensitivity comes with its own list of pros and cons as well. Speaking of the polar pattern settings, there are four in total including stereo, cardioid, omni, and bidirectional polar patterns. To start, we will take a look at the stereo setting. 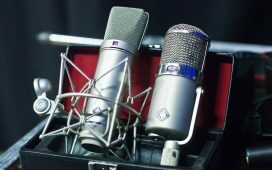 Stereo sounds usually come from recordings created with a pair of microphones. However, this setting helps you to get the same sense of width in sound as stereo recordings. Next up, we have the cardioid setting. Cardioid microphones pick up the sounds in front of them with the most sensitivity and tend to pick up less sound in the back of the microphone. It is made for close placement to its sound source and, in most cases, eliminates bleed and ambient sounds. Omnidirectional patterns is different from cardioid patterns because instead of just capturing sound in front of the mic, it captures sound in an even distance in all directions. These are well-loved for their general flat tones but they are susceptible to ambient noises such as wind noise. This makes these better suited to studio situations rather than live ones. Finally, we have the bidirectional polar pattern. This polar pattern is also referred to as a figure eight pattern. 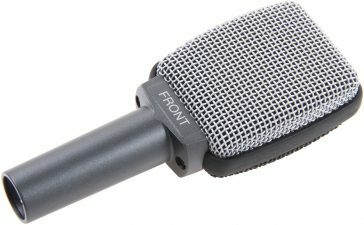 The pick up on this type of microphone is right in front of this microphone and right behind the microphone but it won’t pick up sound to the side of the microphone. The Blue Yeti USB Microphone is surprisingly easy to use. It does come with a lot of settings but once you grasp an understanding of what each one means, they aren’t difficult to use. They can be easily switched between with simple dials and buttons – nothing too complicated. Since this is USB microphone, it saves you some set up as well. 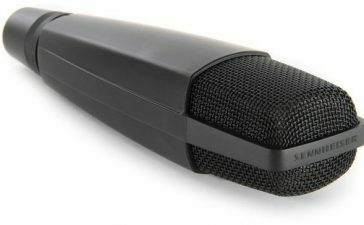 For example, you don’t have the need for a pre-amp like an analog microphone and the automatic analog-to-digital conversion means all you have to do is plug this microphone in you are ready to go. • The dials and buttons on the mic are plastic and much more fragile than the rest of the mic. Overall, the is a fantastic USB microphone. The sound quality is fantastic, as the THX certification states. It has been tested both by casual users and professionals alike and both have been impressed by the quality of the microphone and the sound quality that it produces.